The Torah requires a mikvah to be used for specific cases of tumah. I heard in a lecture that there is one opinion who thinks that it is good even halachikly, but I don't know the reason for that. Is a modern day bathtub or jacuzzi a valid Mikva on a Biblical level? Following Rabenu Yitschak in Tosfot BB 66b (also reported in Tur YD 201). Yes, following Rashbam, Rabenu Tam, RShBA baal hatosfot. The Tur Siman 201 refered to two jopinions and stated that the problem for Kulo Shauv is deorayta. 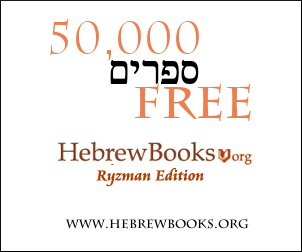 Bet Yosef in the same siman reported that Rambam, Ramban, Rashba and Ran agree with RY. Raavad. There are several kinds of Shauv but the OP is for a Bathtub which is filled normally. In (Shulchan Aruch 196, 53; the Shach said this in his name by dyuk) he ruled as Rambam, this psul is derabanan, the RMA (196, 3) stated as Rashbam and Rabenu Tam, this is deorayta. A second problem is that the bathtub is already a keli before that they cemented it over the ground. But a bathtub is a keli which is made only to be cemented over the ground. The size of the Mikve is greater than the size of a standard bathtub but there is big bathtub. It is not sure at all that biblically a bathtub is a good mikve. In conclusion, from the Shauv point of view Machloket Rishonim and Machloket Acharonim. Only a swimming pool which is dug into the ground Acording to the rambam hichos mikvoos and those who agree see tur and beis yosef yore dea 201, will be good to toivel int min hatorah even in drawn water, but miderabanan require rain water but the rash in mikvoos and others says more than half has to come from rain water. A BATH IS 100% POSUL MIN HATORAH (unfit) however big it may be, as the tub is prefabricated and gemoro in bovo kama 67a says clearly: תניא צינור שחקקו ולבסוף קבעו פוסל את המקוה A pipe that was carved then fixed on the ground renders a mikva unfit. Tosfos explains that this is only when it has 4 walls under the pipe so it is a container - כשיש לו לבזבז מד' רוחותיו and that is what a bath tub is. Those who live in africa and other third world areas might have clay baths attached to the ground with a hole with out a grate and if big enough may be considered good mikva bibically speaking. Can a Cohen marry a bat niddah?